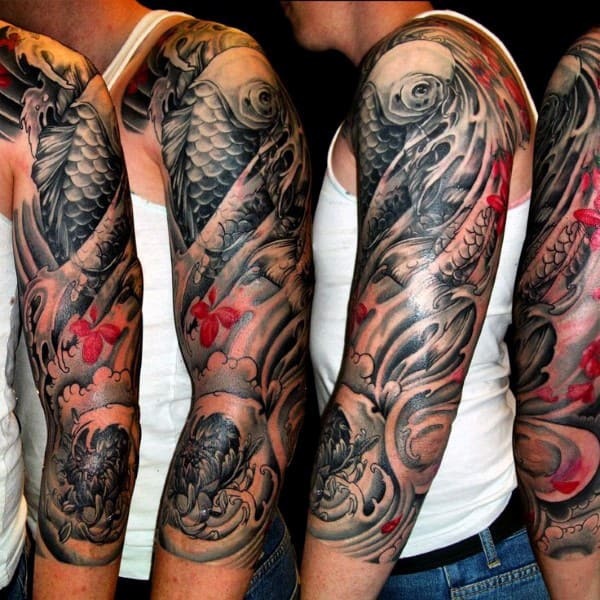 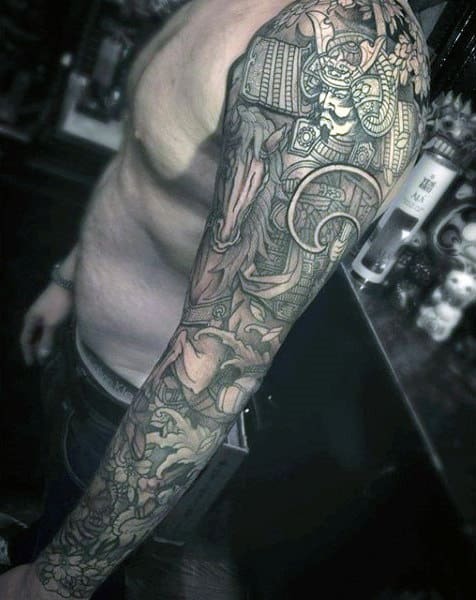 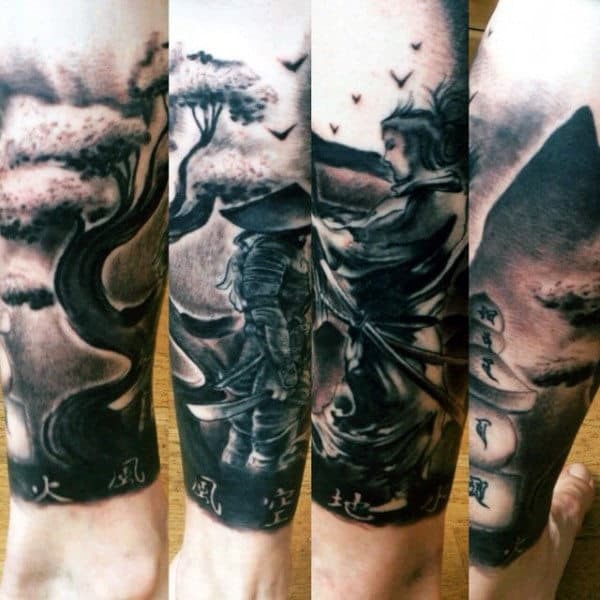 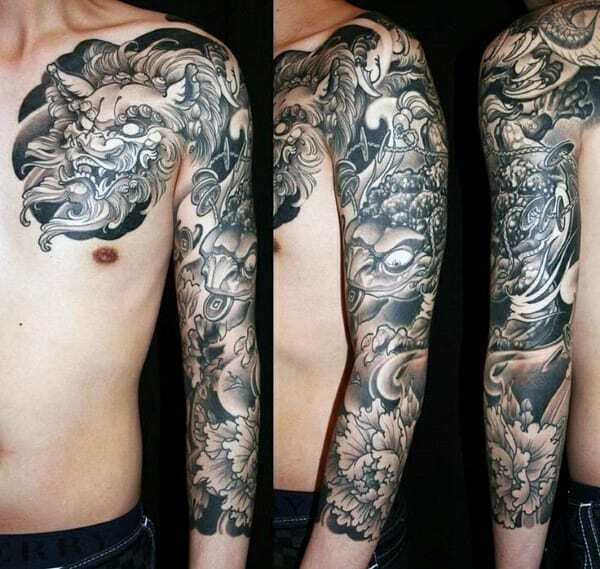 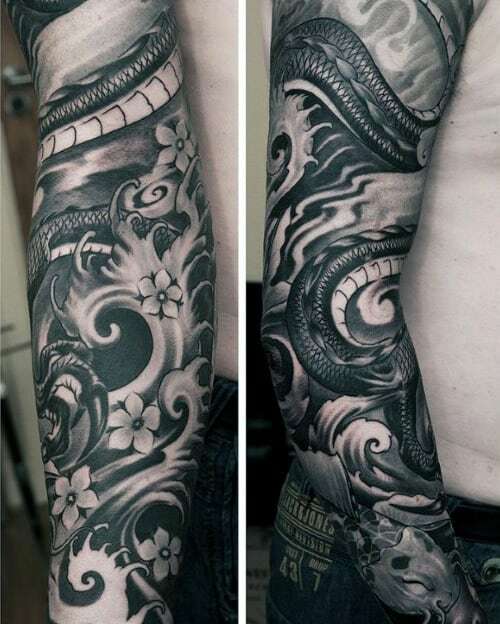 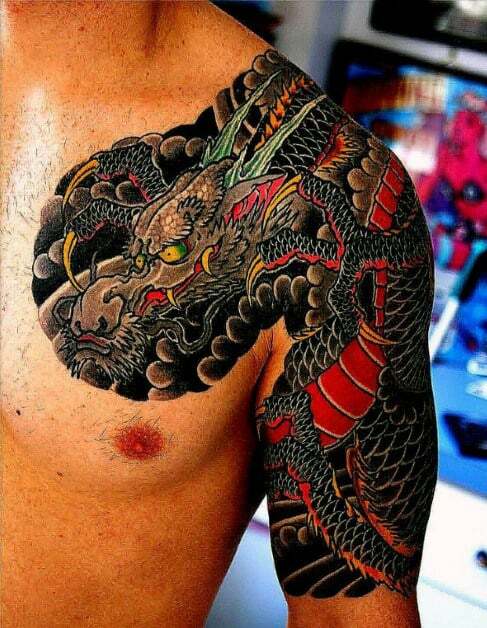 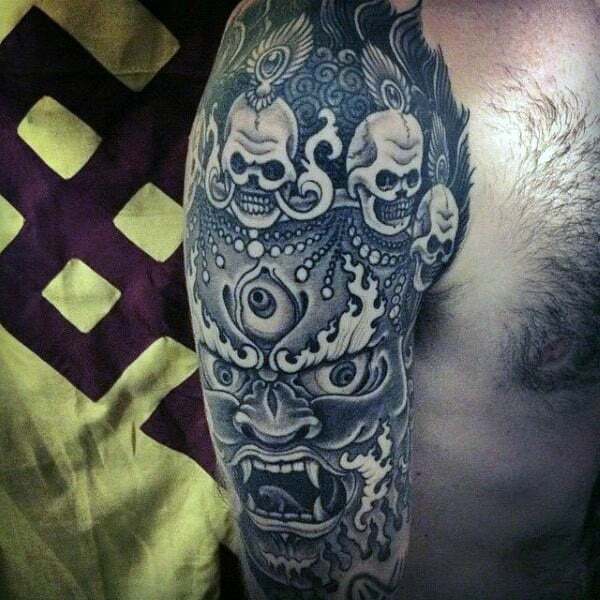 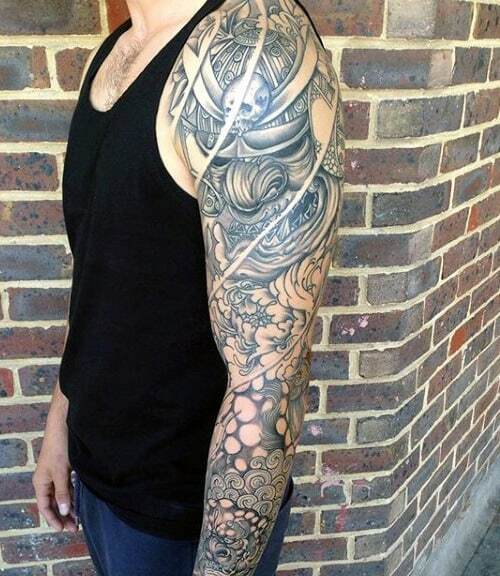 Next Luxury ® > Men's Style And Fashion > 50 Japanese Tattoos for Men – Masculine Motifs Dating Back To 10,000 B.C. 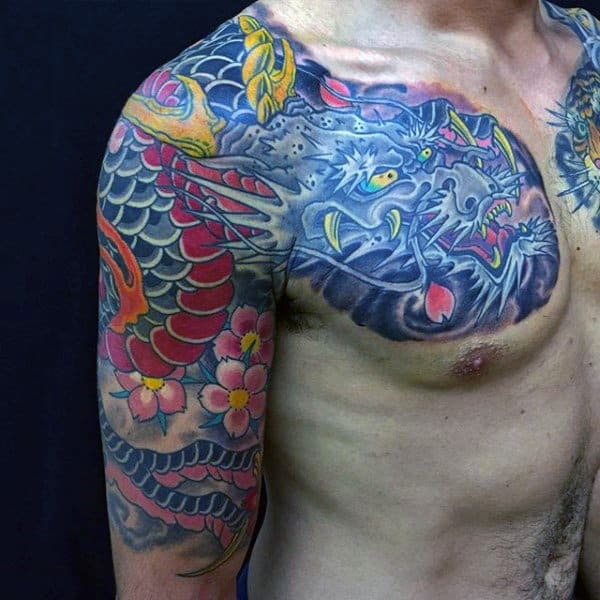 50 Japanese Tattoos for Men – Masculine Motifs Dating Back To 10,000 B.C. 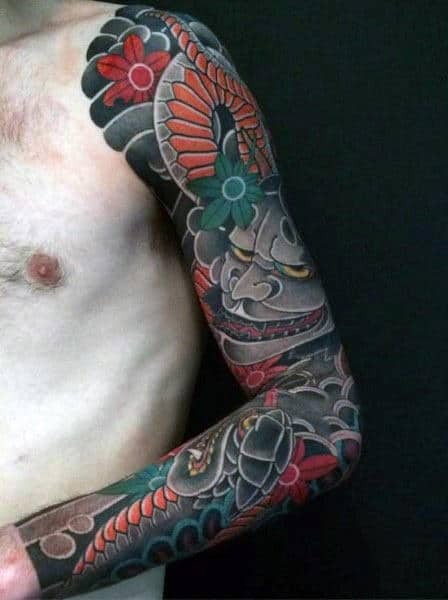 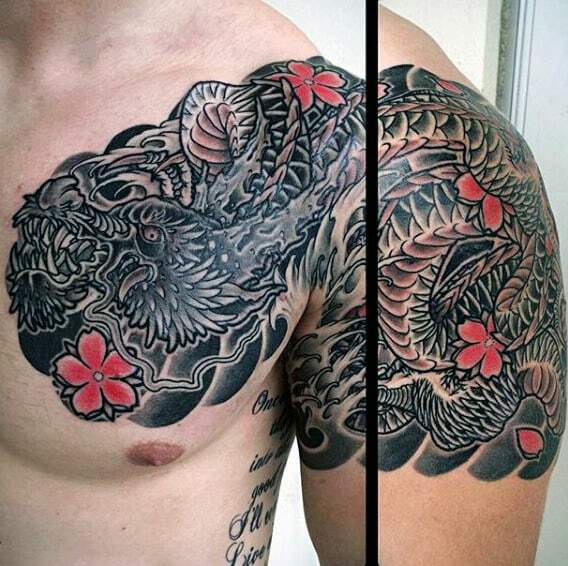 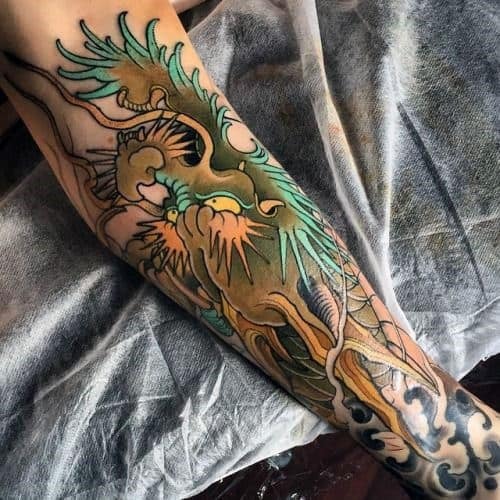 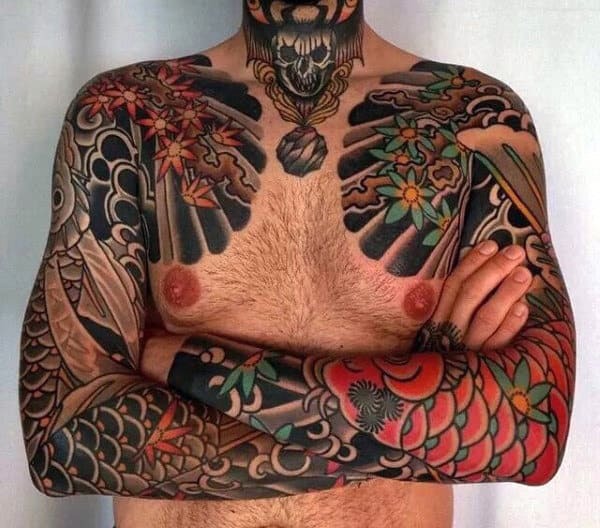 Japanese tattoos have become a uniquely masculine tradition for guys of all backgrounds. 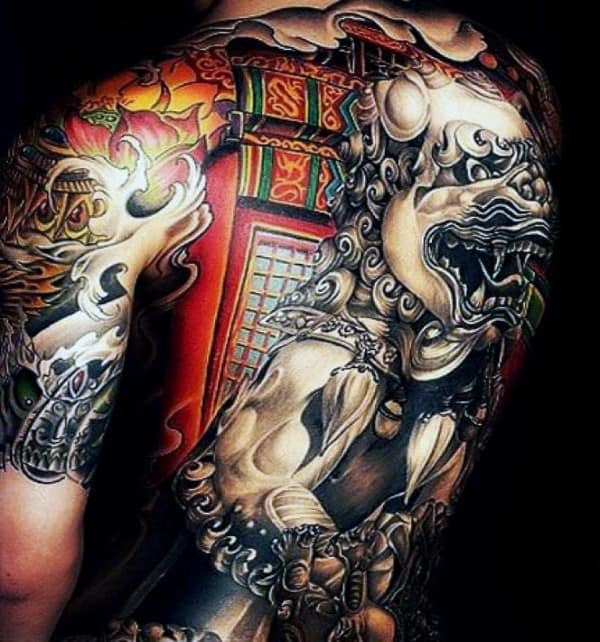 Eastern imagery is poignantly profound, and austere Asian body art is bound to stay in style forever! 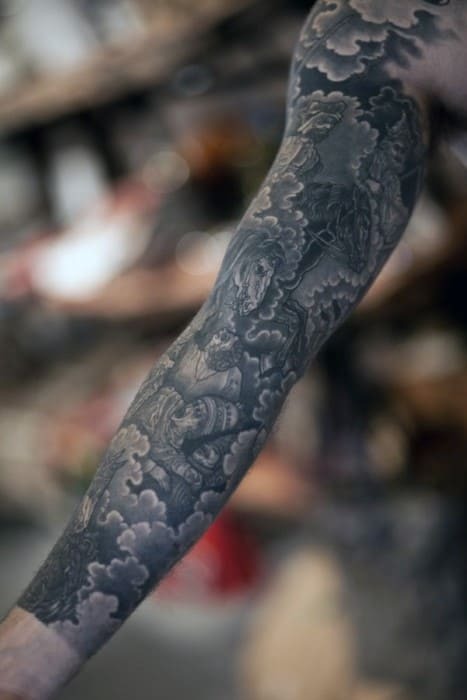 When it comes to indelible perfection, Japan’s approach to inking is unrivaled. 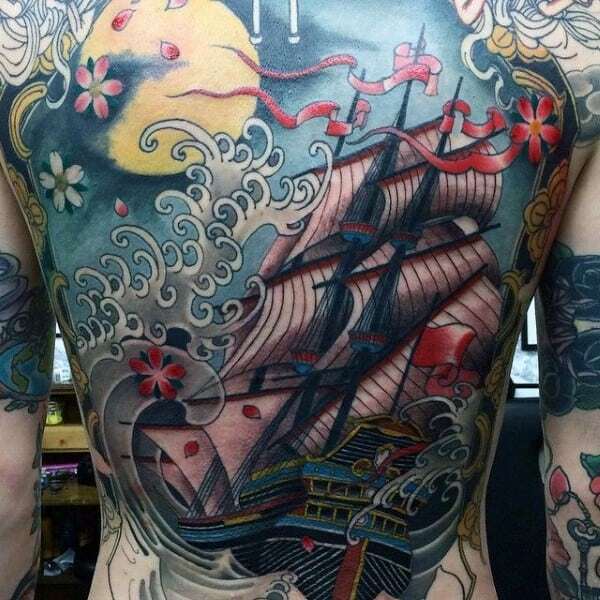 Their tirelessly innovative tattoo revolution stems from triumphant old-school tribalism. 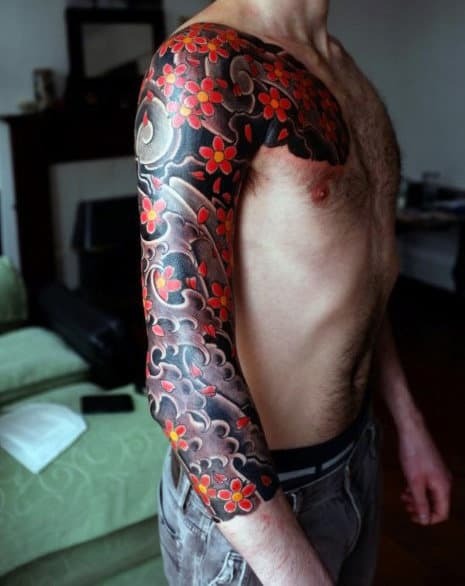 In fact, this kind of decoration dates back to 10,000 B.C.! 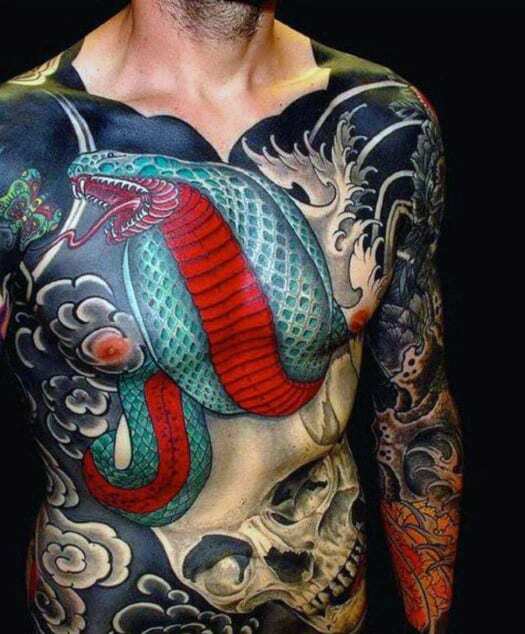 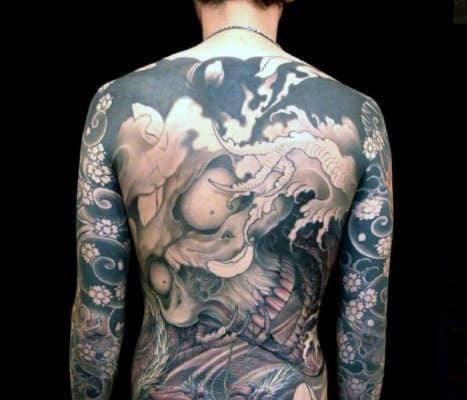 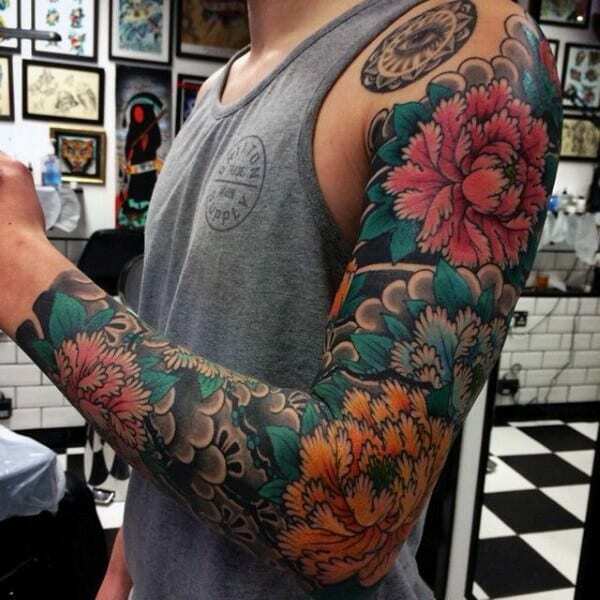 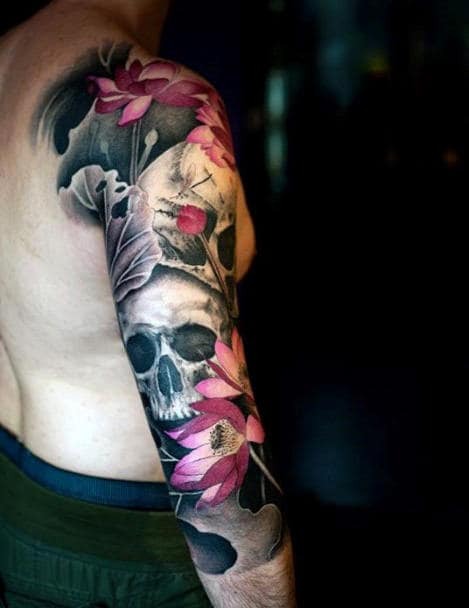 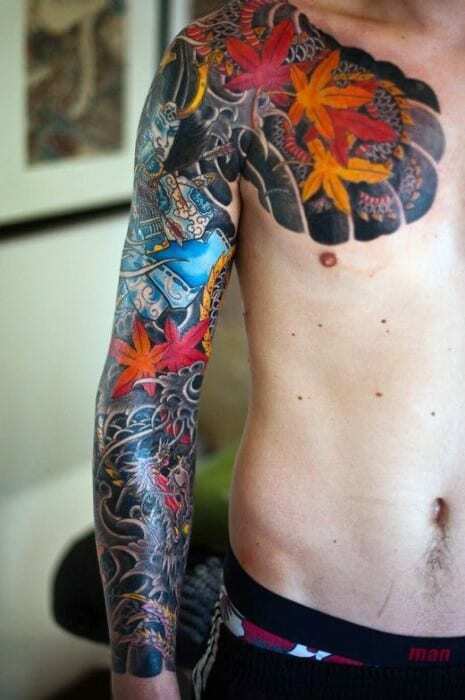 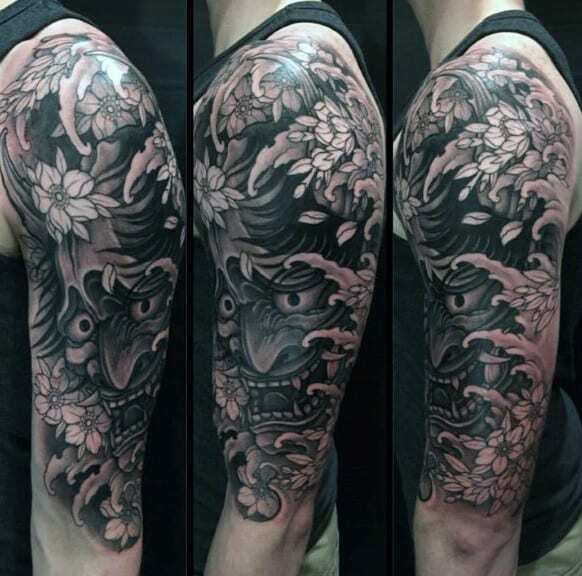 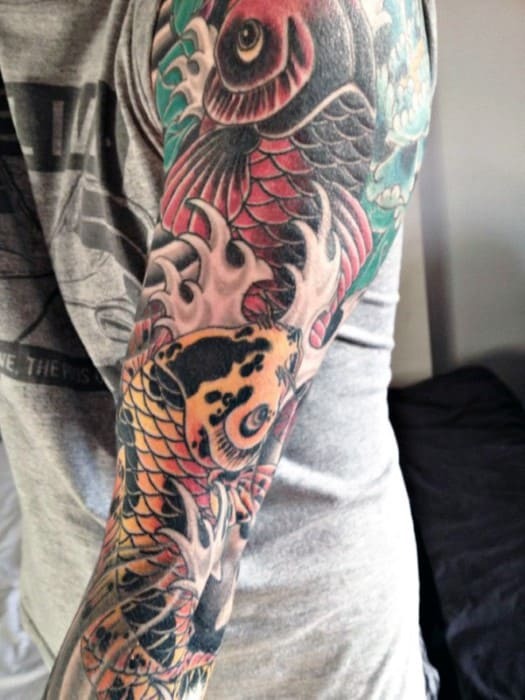 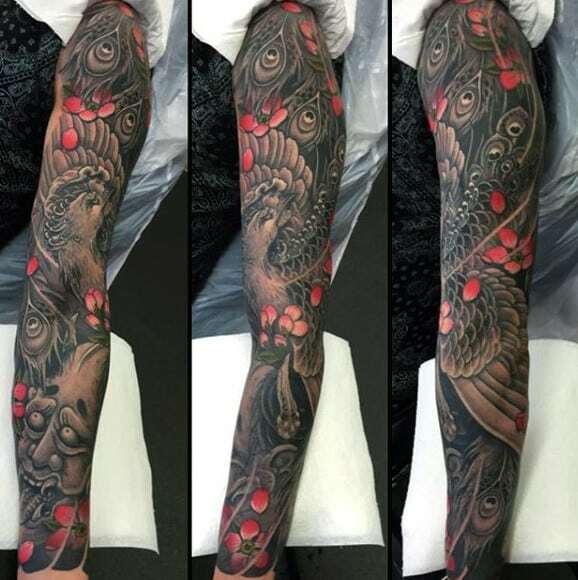 Irezumi is the official term for ancient pigment modifications from the island nation. 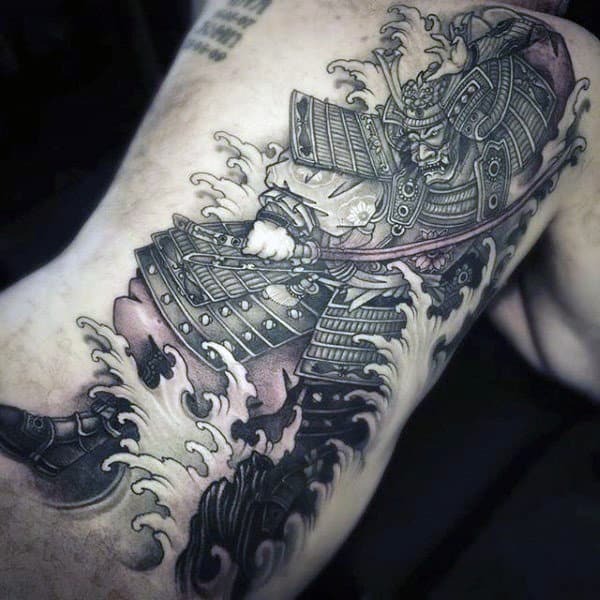 In Japan, full-body ink jobs were originally associated with the samurai. 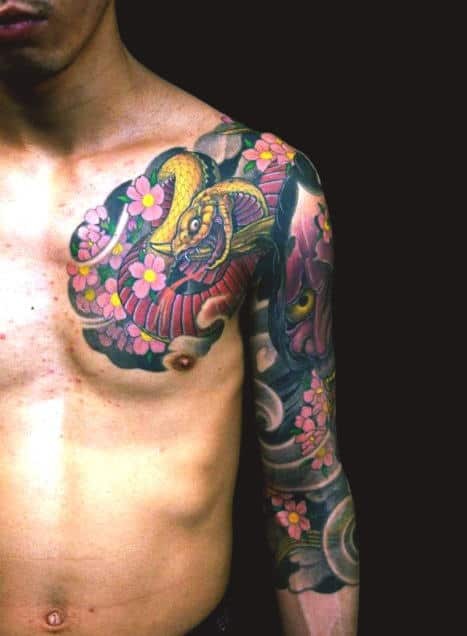 In the modern era, this connotation evolved to indicate kinship with the Yakuza, but ink isn’t reserved for underground sub-cultures anymore. 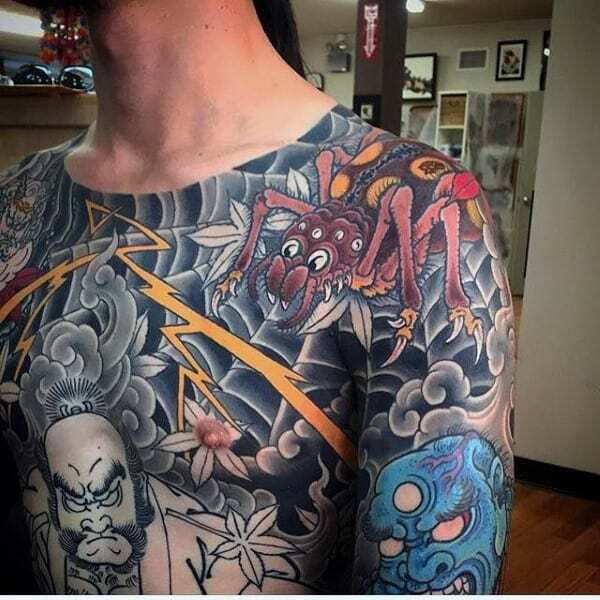 Fortunately, tattoos have become integrated into mainstream Tokyo styles, and the advanced form of expression is taking the country by storm. 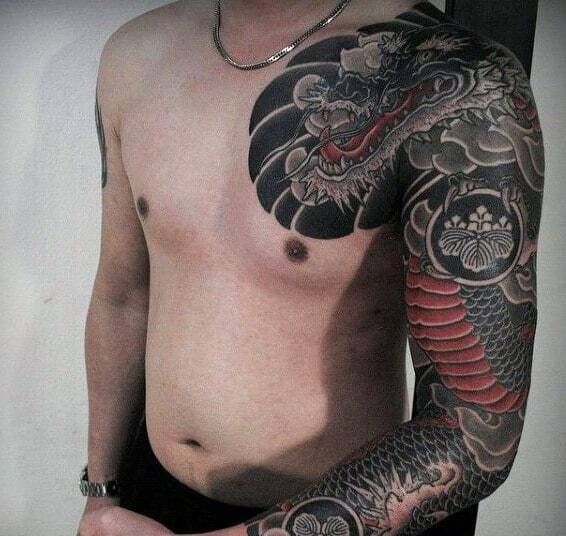 While extremely complex Yakuza-style sleeves are popular, they are only one way to showcase flair from the Far East. 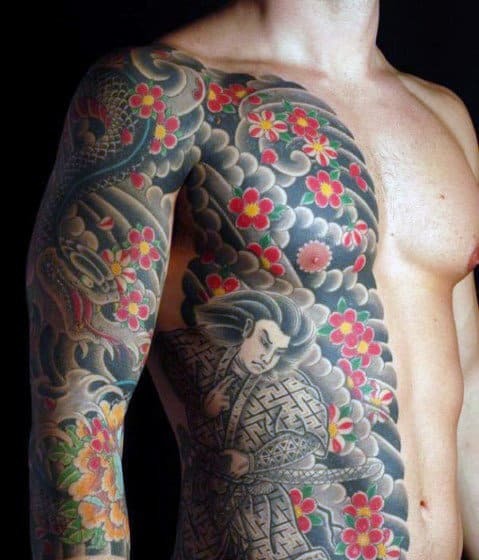 Kanji is also commonly requested in parlors around the globe! 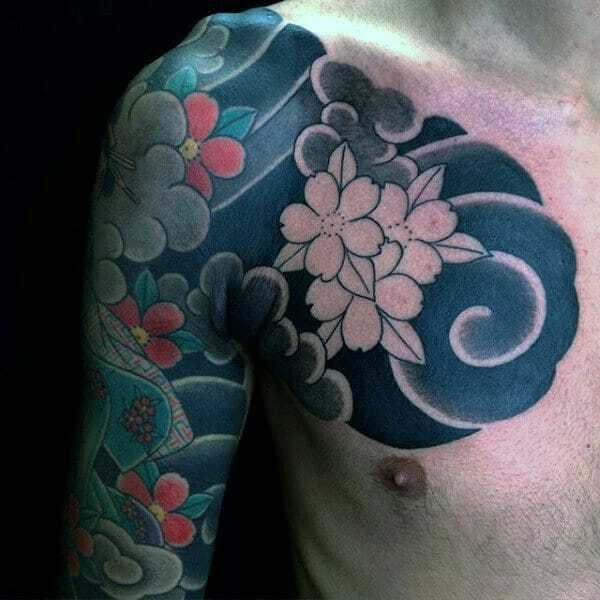 This is because the Japanese language has a striking pictorial arrangement that makes everything seem more meaningful. 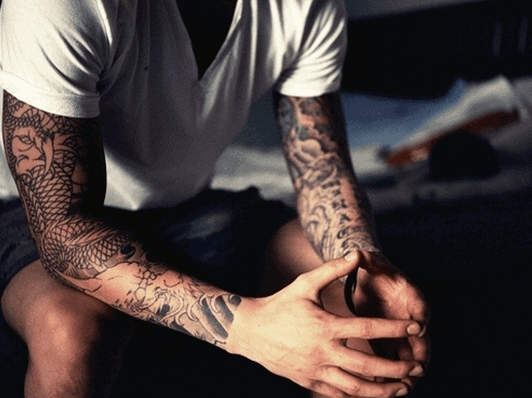 Furthermore, entire sentiments and phrases can be condensed into a singular elusive symbol. 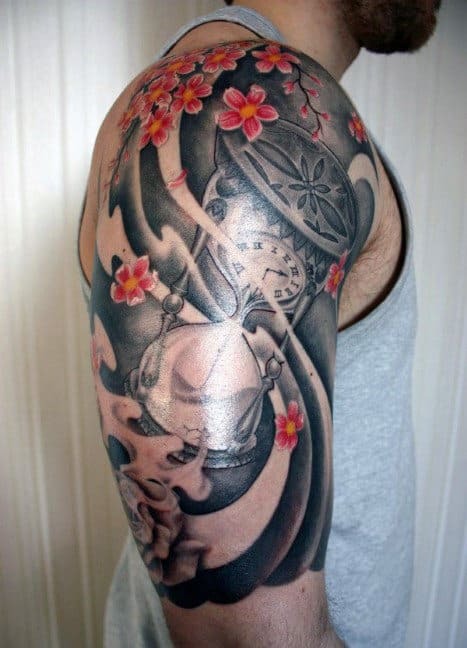 As such, a lot can be said with only a little space. 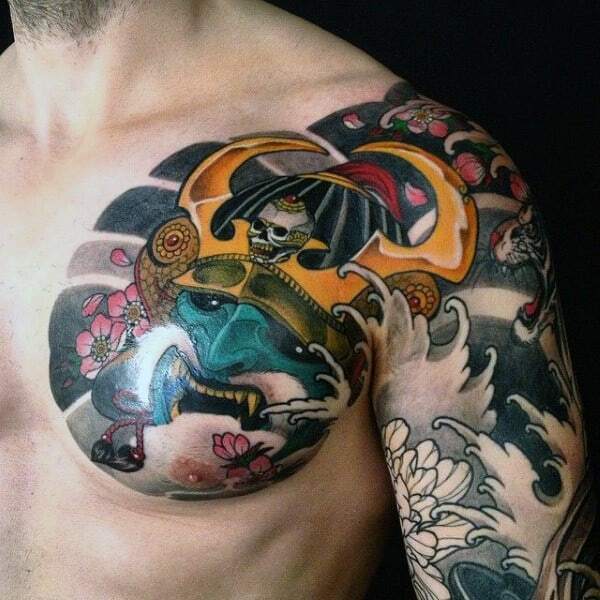 Another way to experience the thrills of Japanese society is by inking traditional shogun paintings. 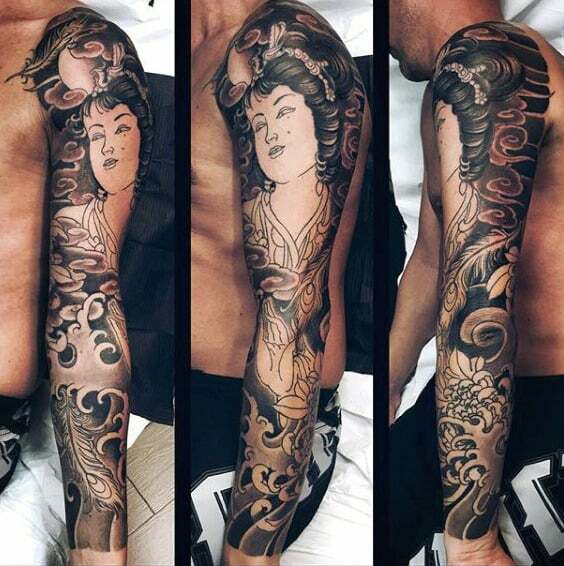 Ukiyo-e woodblock prints translate onto the skin very well, and there are endless bold icons to select. 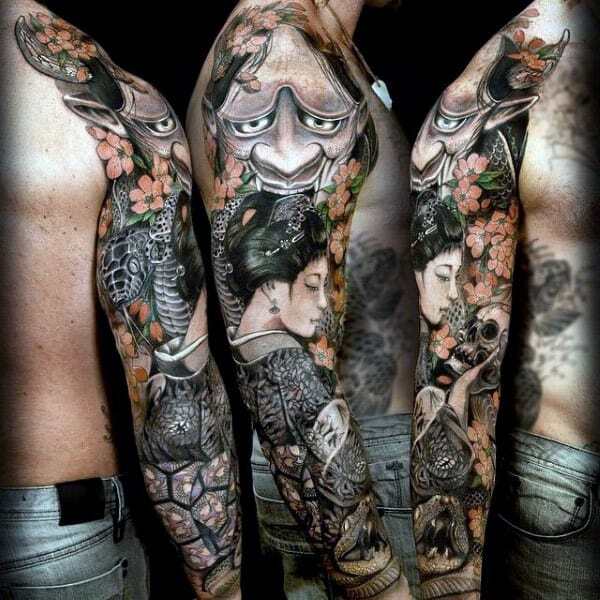 Imagery in this realm includes dueling swordsmen, raging tsunamis, mysterious Shinto spirits and gorgeous geishas. 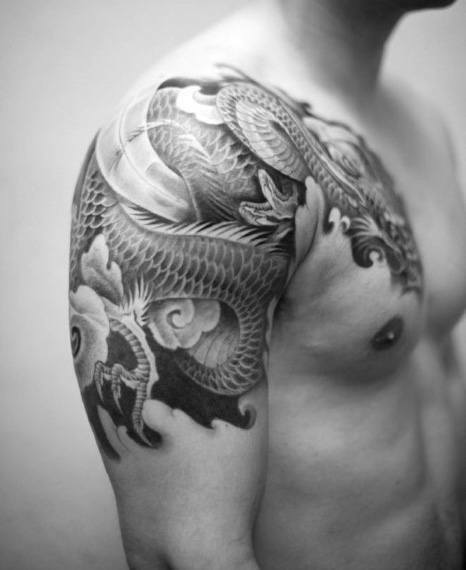 Overall, the possibilities are absolutely endless with this debonair oriental niche. 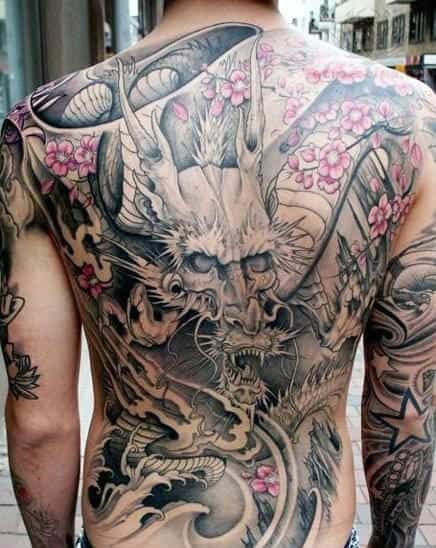 Just peruse this collection of 50 Japanese tattoos for men to see the infinite variety that Japan’s ink has in store for you!